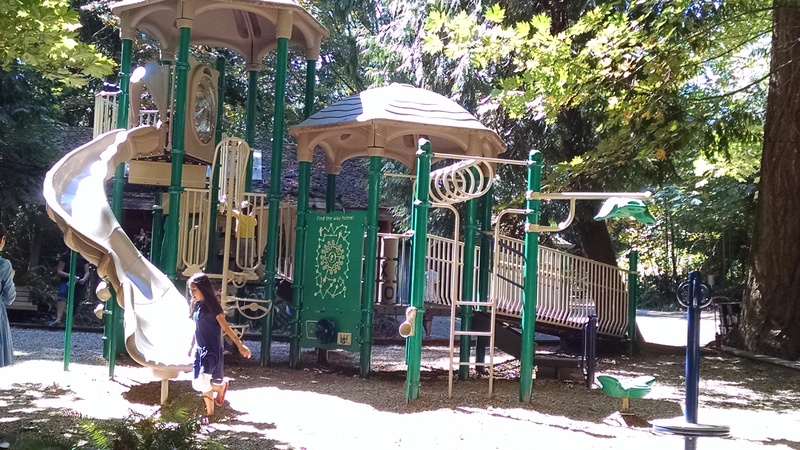 One of the joys of living in King County is our parks departments… even after 25 years of living here, and 21 years of parenting, which leads me to park after park, I am still discovering truly fabulous new-to-me parks. 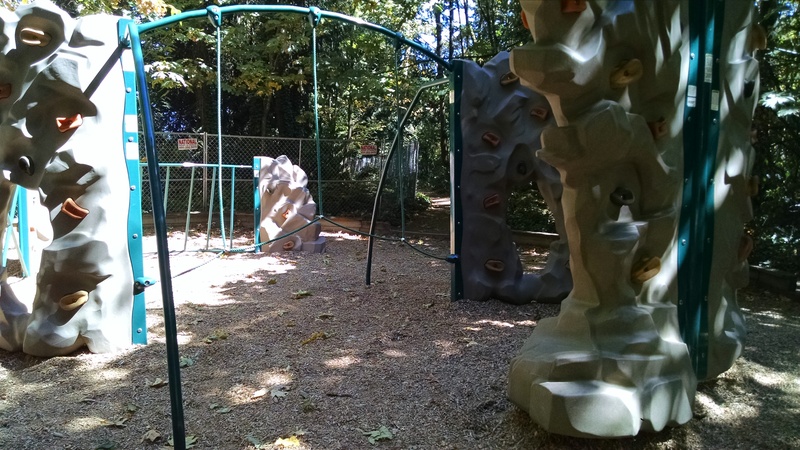 Today’s discovery was Deane Children’s Park on Mercer Island. Yes, that’s four separate fabulous playground areas, all within spitting distance of each other! All of which are good enough on their own to justify a trip to Mercer Island. And that’s not counting the two areas with swings, or the climbing sculpture by the entrance. Or the little hikes through the woods, or the xylophone, or cool little details on the playgrounds like the abacus. (Note: the xylophone is dedicated to Judy Witmer, who has been lead teacher at Mercer Island Learning Lab – a program of Bellevue College Parent Education – for about 30 years.) The dragon playground has a fun history – the original dragon was built in 1965. By 2013, it was in poor condition. The arts coordinators on Mercer Island went searching for the original sculptor – they found him, now an 81 year old artist living in Montana. Here’s the story of how he created the new dragon. 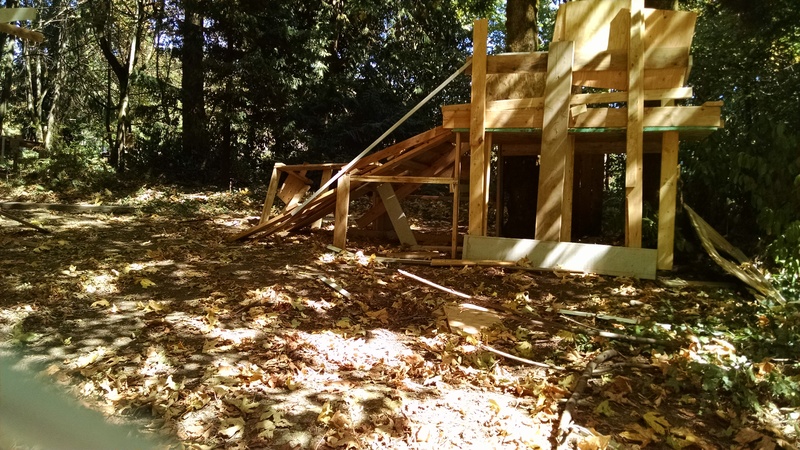 And… there’s also the Adventure Playground. Where they hand kids hammers, nails, safety goggles, and wood, and let them build whatever they want! Read my post on it here. If you have a child who is five or over who likes to build, check it out! So, lots of great play areas in one park. And, as you can see from the photos, plenty of shade for hot summer days. We had a fabulous time there today, ending with bagels from Einstein’s on our way home. Read about more local parks: St. Edward’s, OO Denny and Big Finn Hill in Juanita; Farm Parks in Bellevue and Redmond; the dog park at Marymoor. Or check out ParentMap for lots more park reviews. This entry was posted in Eastside Parks, Seattle area and tagged Eastside, mercer island, parks, toddlers on August 7, 2015 by Janelle Durham.